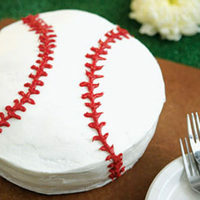 Baseball Dessert Inspiration for #OpeningDay! Today is Opening Day! While I won’t be at the game again (I was lucky to go to the Home Opener a few years ago and sit in the Social Deck), I will be dreaming of baseball and summer games – peanuts, cracker jacks, giant pretzels and beer! To get me in the mood for baseball, I decided to bake something baseball-y. Well, I decided to, but then was tired after my 8-mile training run and went to bed. Woops! Anyway, here are some of the recipes I looked into – maybe later in the season. 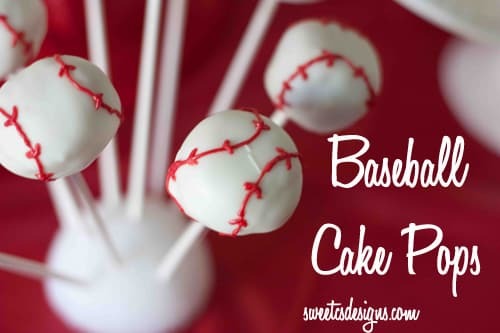 It’s never too late to enjoy a baseball cake pop! 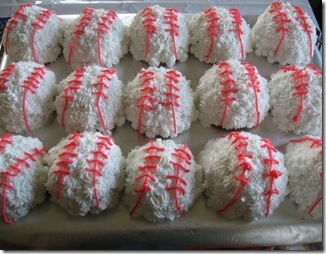 Did you make a special treat to celebrate your Opening Day? Go Tribe!